ISLF has launched a project to bring the widows out of poverty and establish sustainable livelihood to this marginal group of the society. The project provides, each widowed family, a young cow [either pregnant or in calf] free of charge. The Sri Lankan conflict has created war widows and disabled persons. According to a recent need assessment study conducted by ISLF, in the Kilinochchi District alone, there are about 6044 widows and 2436 disabled persons (ISLF, 2012). Many widows live in poverty. Most of them have lost all their possessions and they are without livelihoods and resources. There are young widows who live with their parents or relatives, while some of the middle-aged women live on their own. They survive on the aid provided by voluntary groups or on the meager government assistance. Some widows earn a little income from casual jobs. These widows are good farmers. They have good experience in cattle farming. Over a period of three years, ISLF proposes to donate cows to 210 widowed families in 14 villages in the Kilinochchi District. The project will be undertaken in three phases, namely: Phase I – Two villages covering 30 families; Phase II – Four villages covering 60 families; and Phase III – Eight villages covering 120 families covering eight villages. Phase I of the project has just begun. The survival of resettled war widows in the Kilinochi District is currently at stake. Their livelihoods options are limited. Kilinochchi is just emerging from the impacts of the war. Dairy farming is spouting-out slowly. Markets for dairy products in general, and milk in particular, are opening new avenues for enhancing rural incomes. Traditionally, dairy farming has played a significant role in sustaining the rural livelihoods in the Kilinochchi District. Kilinochchi is said to be the home of more than 50,000 cattle before the conflict. Recognizing the importance of cattle farming in its substantial contribution to the livelihoods of resource poor farmers/rural population, particularly to women headed families, ISLF has attached high priority to this “cow donation to widows” project. The project will not only provide cows free of charge to widows, but will also strengthen milk marketing, veterinary health services, breed improvement, feeding care, and capacity building of the participating families (by means of training). Through the creation of self help groups (such as dairy cooperatives), the project will develop entrepreneurship among the participating widows. It may be noted that the importance of livestock rearing is recognized internationally as a prime mover for rural development due to its potentiality in ensuring sustainable livelihoods. Dairying can potentially address development issues of food security, equity and decentralized governance through people’s participation. ISLF has a two track approach to mobilizing resources to the “cow donation project”. One track is mobilizing resources through individual contributions. We have launched a cow donation drive. 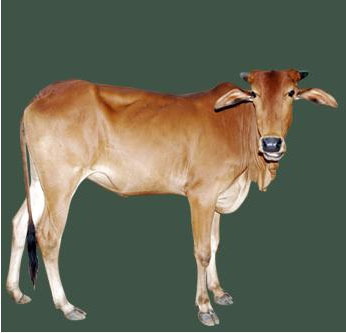 Download Full Document of "Donate a Cow to the Resettled Widowed Family"